Just four short months after turning seventeen, I had started my senior year of highschool to which I was able to go every other day since I only had a few classes left to complete in order to graduate. If I went every other day to school I would still graduate the following year in May, but that quickly changed. Before I get into that whole situation, let me backtrack and tell you a little about myself. I was a mommy’s girl, shocker I know! I was a child of divorce and lived with my mom ever since that happened. I never had a strong relationship with my dad, so living with him was out of the question, I was a mommy’s girl remember. Going forward, as I got older, I stayed at home most of the time because I am a big homebody and I’m still that way. I only had a couple close friends I hung out with occasionally, I never partied, I never drank, I never did drugs; I was honestly a good girl who stayed out of trouble. Now back to my senior year, it all quickly changed when one day I was sitting in math class and got this weird feeling and thought that maybe I was pregnant. So, after school I went home and decided to take a pregnancy test to see if my feeling was right, and as it turned out…I was totally right. There it was, those two pink lines indicating that I was for sure pregnant! So what do I do? Do I freak out? Do I scream and cry because I’m only seventeen and can’t possibly be having a baby? No, I don’t do any of that. I remained calm, did my research, and went to planned parenthood and the rachel house to make sure I was 100% positive that I was pregnant. Now what do I do? How do I explain this to my parents? Well, I can tell you this, I definitely didn’t say a word at first, and I would’ve continued to not say a word if it wasn’t for an argument that broke out between my mom and my boyfriend at the time, and yes the same one I was having a baby with! When the argument happened my mom kicked him out of her house and was demanding that I not see or talk to him again. Well, I panicked, I was pregnant with his baby and in love with him. There was no way I could just not see or talk to him again, but she wasn’t aware of the pregnant with his baby part. How do I explain this one? I ended up calling my older brother, Jordan, who I also don’t have that great of a relationship with, but my other brother, Brandyn, who I was extremely close to, was away at college. I called and told him what happened and that I was pregnant. He came right over and broke the news to my mom, then everything continued to go downhill. As most parents would, my mom totally freaked out. I was a good girl and a mommy’s girl remember, so to now have her seventeen year old pregnant, was crushing. I ended up getting kicked out of my mom’s house and forced to go live with my dad with whom I had never lived with since after my parents split up. Everything got progressively worse, I couldn’t talk to or see my boyfriend, my mom was no longer talking to me, and I was in a whole new experience living with my dad full time. As for school, I continued to go and ended up getting my schedule changed so I could go to school every day and graduate in December, since my due date was in May. As for home, it didn’t get much easier, both my parents kept pushing for me to have an abortion. Before I continue with that, let me just tell you that I have always been maternal. Growing up I always babysat and took care of kids. I knew I wanted to be a mom, sure it came earlier than expected, but babies are a precious gift from God and there is no way I would even think about aborting one. I knew I could do it, and I stood behind what I believed. I was going to become a mom whether everyone wanted to support it or if it meant I was going in it alone. So I fought for what I wanted, but I was very alone and became depressed. A lot was happening at home, I became very stressed and depressed and ended up almost losing my baby because of it. I was in the very early stages of having a miscarriage, there was a 50/50 chance. 50% chance everything would be just fine and 50% chance everything I have fought for, this beautiful baby growing inside of me could just disappear, could just pass away. Although I wasn’t that far along, this baby meant the world to me and I would do anything to protect him or her. From the moment I began to bleed, which was only a little bit, I prayed and I prayed and I prayed. I prayed every day and night for God to save my precious baby! I told Him how much I wanted this beautiful gift and He knew my heart and the feeling I had for this baby growing inside of me. My prayers worked, God saved my baby and gave me a wonderful miracle! Even though I was experiencing this going on, things at home never got better. I still hadn’t talked or seen my boyfriend. He had no idea what was going on with me or our baby. I had to do something to get out of the hole I was in. The depression needed to stop and I needed to keep myself healthy and my baby healthy. So, I made the decision to pack up all my stuff one night, when my dad and step mom weren’t home, and leave. I went and stayed with a friend for a few weeks until I moved in with my boyfriend and his uncle. I made sure to complete school and graduated in December like planned. I only heard from my mom every once in awhile and it was never anything good and I talked to my dad on occasion when I needed something involving school, such as having a doctors appointment and needing my dad to call the school in order to tell them I wasn’t going to be there or I needed to leave early. I went eight months without my mom being there in the most important time of my life and six months without my dad. I was very thankful for my boyfriend, and father of my child, who took care of me and helped me with everything I needed. I see posts about how girls couldn’t imagine their life without their moms, or they couldn’t live without them; but I did. I lived without my mom and went through pregnancy without my family or the support I needed from them. As much as I don’t want to live without my mom in my life, I know I’m capable of doing so. I became a different person, I grew up and blossomed into a mother myself and wouldn’t change it for the world. The day I found out we were having a girl, was a very special moment for me. I dreamed about having a little girl! A little girl to go shopping with, paint our nails, watch movies and cuddle, just do all the girly things with that my mom did with me. So the day I was at the doctors getting to see my sweet baby on the ultrasound and hearing it’s a girl come out of the nurses mouth was the best feeling! Although I didn’t have my family around, I knew God was doing great works in everyone’s heart. Just a couple months away from my due date, God brought me and my family back together. During the time of not talking to my mom, she had been working on her relationship with God and became closer than she had ever been to Him. She realized the wrong she had done, and knew she needed to make things good again in order to have her daughter back in her life. Her and I talked for the first time in months and yeah it was over text, but from that point on I knew everything was going to change again, but this time for the better. A month or two prior to my mom contacting me, I had been talking to my dad who had reached out to me to see if I was okay and if I needed anything. Mine and his relationship was underway and he had changed as well. The time apart that me and my family experienced had helped each one of us figure out ourselves and grow closer and rely on God to help us with what we were going through. 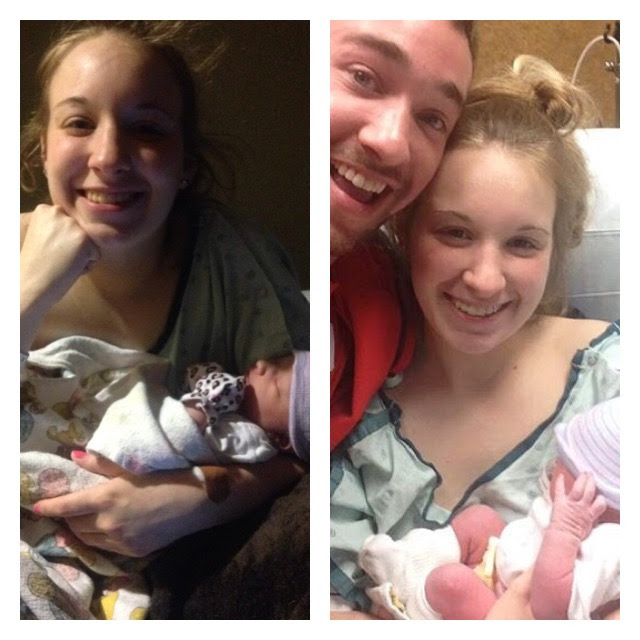 That being said the day I went into labor, which was earlier than my due date, my family was there and got to be apart of meeting my daughter for the first time. I became a mom and had so much love for my beautiful baby, it was a kind of love I hadn’t experienced before. So much love as I looked into that sweet, precious miracle. I may have not had my family when it was most important and crucial, but I did have my family back which included two new members, my boyfriend and my daughter! 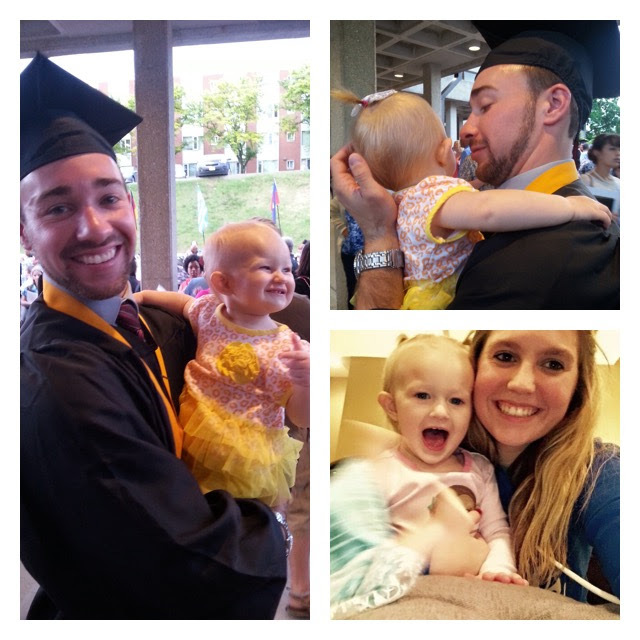 They all shared the same love I did for my baby and my daughter gained grandparents and uncles to which she has an inseparable bond with her unckie and aggie, Brandyn, and his fiance’ Ashley! There is a point to why I am putting all of this out there for everyone to read and that’s to reach out to anyone going through a similar situation or maybe a teenager who has become pregnant and thinks it’s the end of the world. I am here to tell you it is not the end of the world! We all make mistakes and if people are going to look at teenage pregnancy as a horrible, wrong mistake then I’m here to say screw you to whomever is making you feel as if you are an awful person or making a huge mistake in your life. If you want to have that baby and know you can take care of him or her, then by all means do so. I’m here to cheer you on and let you know you are not alone and that if I did it, you can do it! But my support isn’t just for teens, it’s for every pregnant woman out there who doesn’t have the support or help they need. We are strong, and if you have determination and stand for what you want in life you will accomplish many things that may seem impossible! 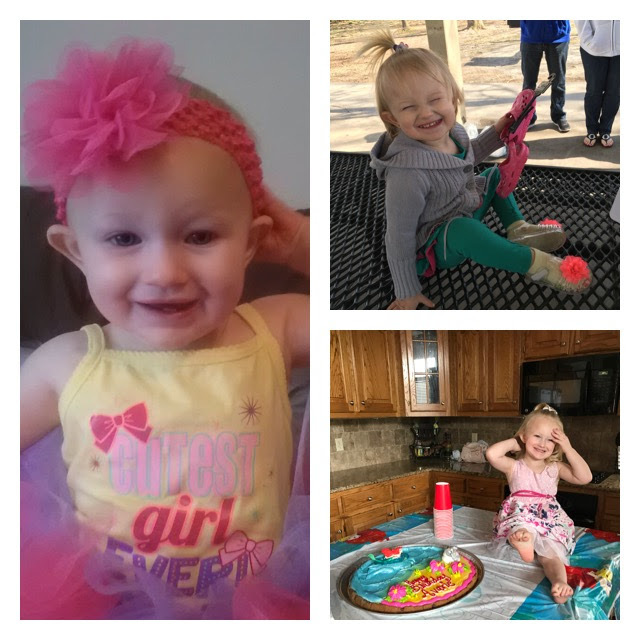 Today I am 21 years old and my daughter, Avarie Rose, is 3 years old and I would fight for her any day! Three years went by very quickly, but I will always remember the moment I laid eyes on her little baby face! She may be a big girl now, but she will always be my little baby; snuggle them longer and hold them tighter because they are the best gift you can ever receive!